Now, of all three, fiberglass tends to be the best because of the easy installation, permanence and stylishness. What other positive aspects make a fiberglass swimming pool such a worthwhile option? In the past, fiberglass was used mainly to manufacture yachts and boats. Therefore, one can assume that the material is made of the highest quality and has definite durability. It wasn’t until the 1950s that fiberglass swimming pools were developed and introduced to the world. And, when it did, the popular concrete pools fell to second place. 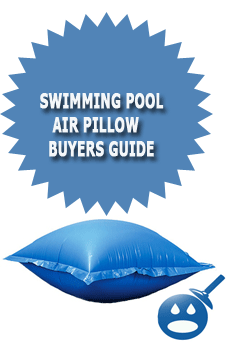 Due to their many advantages of owning a fiberglass pool, their popularity has skyrocketed. What reasons have made people opt for this type of swimming pool over the others? 1 – The pools have a contemporary style that gives a home some additional panache. 2 – Another reason for their popularity is that they’re pre-assembled, ready to be installed at a moment’s notice. The shape and design are already laid out, and there’s no need for paint because they come pre-finished. Fiberglass swimming pools can be installed in just three days, and don’t need much maintenance. 3 – Since they also have a non-porous surface, it’s hard for bacteria and algae to breed, meaning you don’t need a lot of chemicals to keep it sanitized and clean. Therefore, you save yourself money by not spending it on maintenance. 4 – Fiberglass pools don’t easily crack either and can stand up against the bad atmospheric elements such as frost and earthquakes. 5 – If you want to work out in your swimming pool, they can be designed into lap swimming pools. 6 – The truth about all these benefits is that you do pay for them initially. However, you save yourself a lot of money down the road. 1 – You don’t have to wait long to have a pool and they’re not an above-ground type of pool. 2 – You can easily keep the pool clean. 3 – They don’t wear out nearly as quickly as the above ground pools tend to do. 4 – Algae and mold have a hard time growing on them, which means you don’t have to spend a lot of money on maintenance. 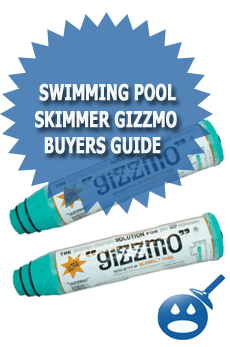 5 – Its special coating means there’s no reason for a swimming pool liner. 6 – There’s no reason to worry with tearing or ripping like you would with an above-ground pool. 7 – You also don’t have to worry about cracking like you would with a concrete swimming pool. 8 – They come pre-assembled so you can find one that fits into your home’s backyard. 9 – Installation will include land excavation and dropping the pool into its place. 10 – Best of all, it can be done in one weekend. While there are many advantages to fiberglass swimming pools, there are also some drawbacks to them. 1 – They are expensive – even more than laying down a concrete pool. 2 – Despite being pre-assembled, you’ll have to do some serious excavation so they can get into the ground. 3 – The expense gets even higher because you’ll have to haul the dirt away. 4 – It’s possible a flood can cause your pool to float if you live in an area of a water table. 5 – These pools need the ground’s support to maintain its shape so it doesn’t split from the water’s weight. Therefore, you’ll only get in-ground swimming pools to choose from. 6 – After the excavation process, a truck will bring you your pool and a crane will ensure it’s set into the ground. Afterwards, you’ll need to fill the area around it in and add the water at the same time. The water level and backfill level needs to stay the same so the pool doesn’t become crushed. 7 – Draining a fiberglass pool will cause them to collapse as well. 8 – The pool needs to stay up high so water can drain from it. After all this is done, you can enjoy your new fiberglass swimming pool anytime!